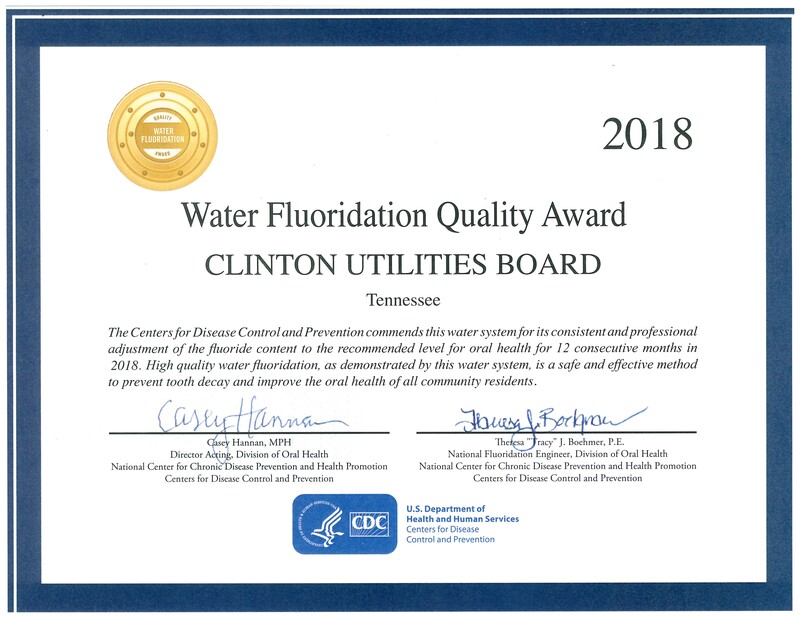 CUB's Water System received a Water Fluoridation Quality Award from the Centers for Disease Control and Prevention recognizing the commitment to continually provide optimally fluoridated water to the community. Water fluoridation is the cornerstone preventive measure in reducing dental decay. Community water fluoridation remains one of the great achievements of public health. By drinking optimally fluoridated water, all residents of a community benefit. The dramatic reduction in the prevalence of dental decay in adults and children over the past several decades is largely attributed to access to fluoridated drinking water.